‘Tis the season of giving – head over to Circa and pick up a gift or two. 10% of all purchases tomorrow benefit Baby Bundles. 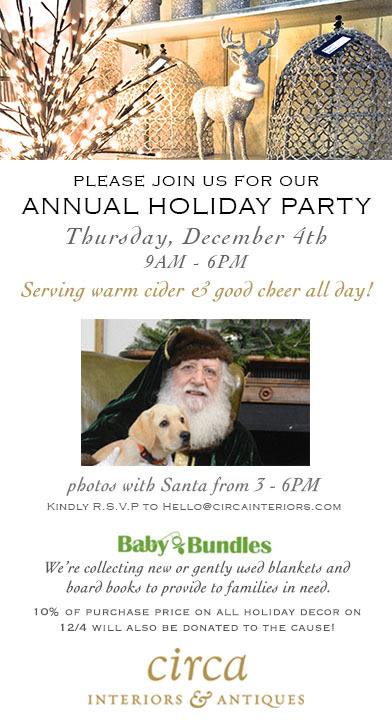 An added bonus – Santa will be there from 3 – 6pm!! Bring your children for photos, too!